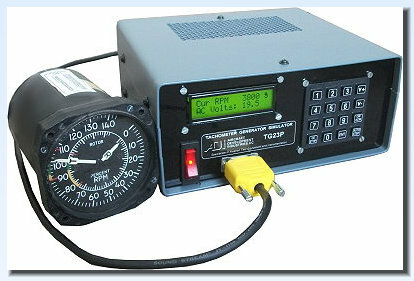 The model TG23P is an entirely solid state digital 3 Phase, 2 pole, Tachometer Generator Simulator. 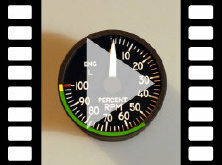 There are no motors, strobe lights or moving parts in the unit which makes it ideal for testing electro-mechanical type Tachometers, Percent RPM Indicators, Dual and Triple Tachometer indicators. The unit exactly simulates the electrical charactistics to that of a mechanically driven tachometer generator such as the familiar 32005 or GEU-7A series, however, the TG23P is microprocessor / crystal controlled and therefore has no mechanical or moving parts. This makes the unit extremely accurate, silent and reliable. An Auto-Step feature automatically cycles the test values from zero to full scale in 10% increments and output voltage can also be adjusted through the keypad. 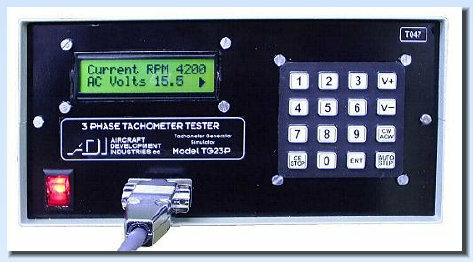 The unit is ideal for use in the aircraft or can be used in a workshop environment.